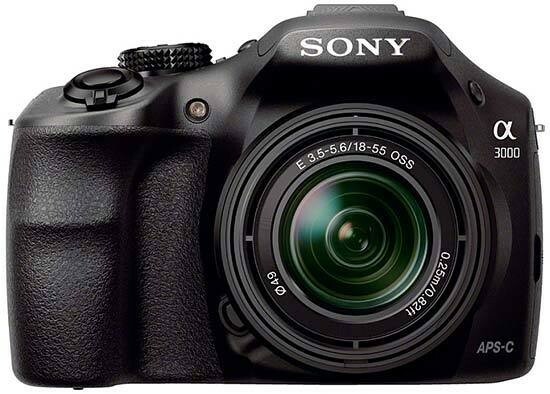 Listed below are some of the rivals of the Sony A3000. The Canon EOS 1100D (called the Canon EOS Rebel T3 in North America) is a new entry-level DSLR camera with some advanced features. Replacing the ageing 1000D / XS model, the new Canon 1100D / T3 offers a 12 megapixel sensor, 2.7 inch LCD screen, 720p movies, 63-zone metering, and 9-point auto-focus system. Available body only from £419 and in a range of kits from £459 / $599, read our Canon EOS 1100D / T3 review to find out if this budget DSLR is a bargain or one to avoid.